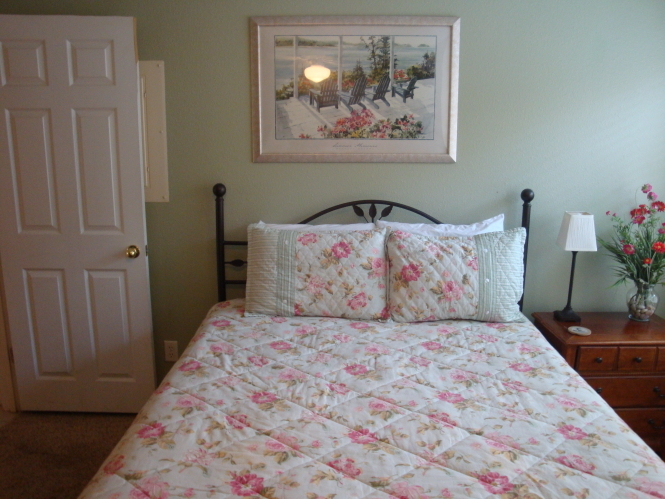 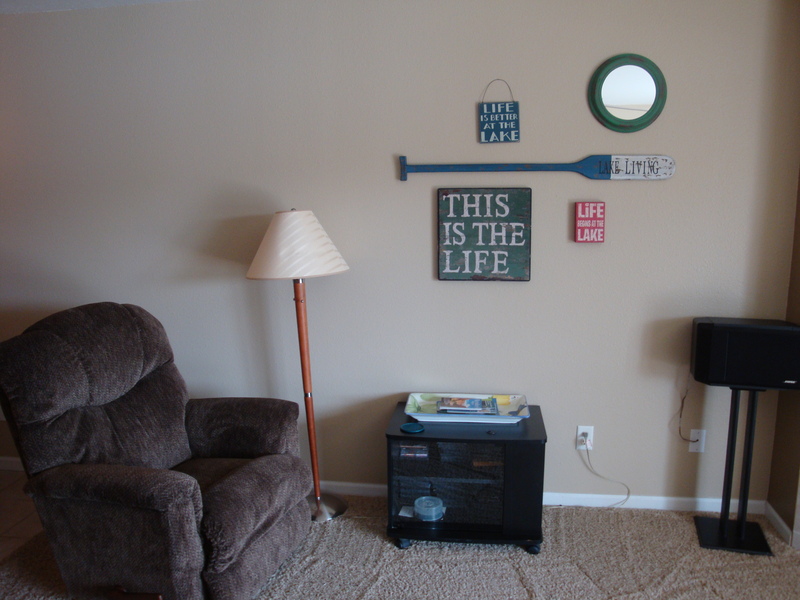 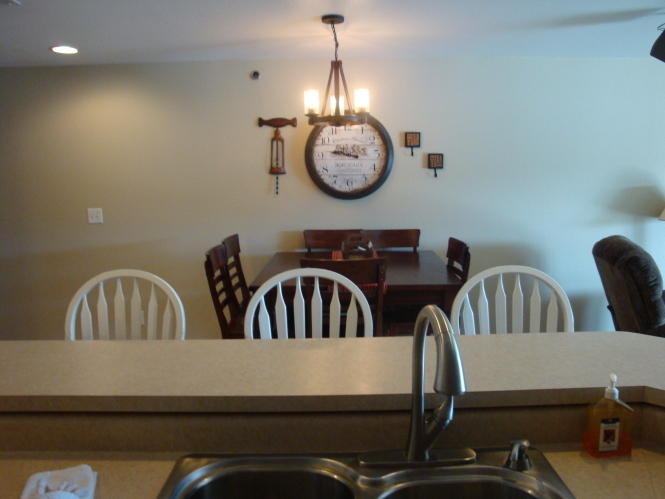 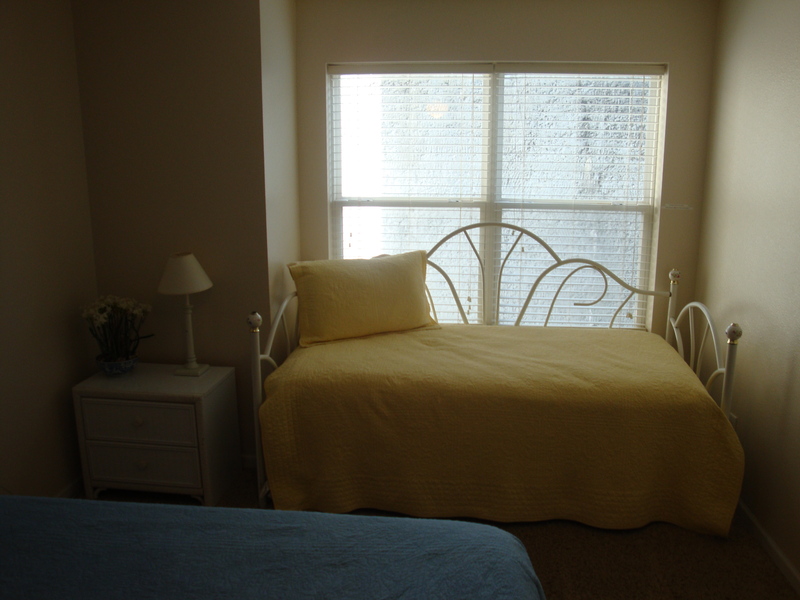 Free WIFI, Condo 616 is a first floor condo which provides the vacationer with a great lake atmosphere! 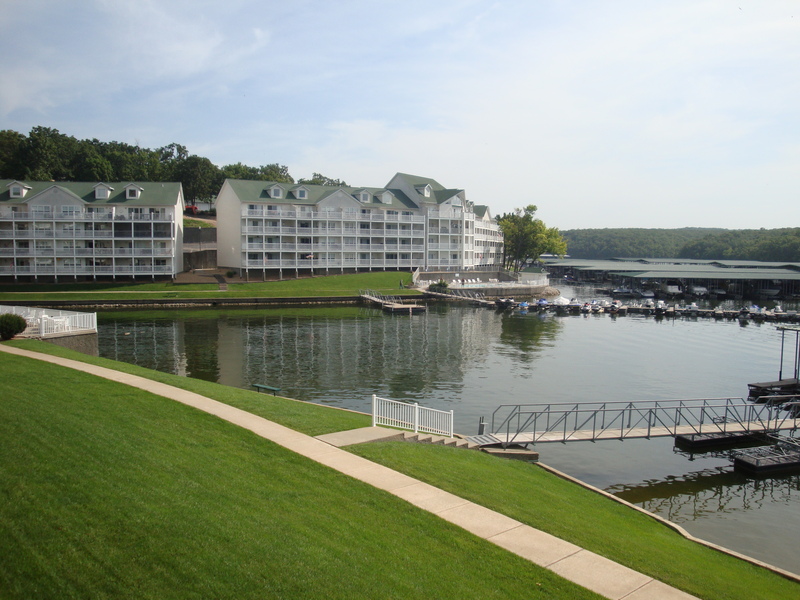 Building 6 at Parkview Bay is very close to the lake. One of our 3 lakefront pools is very close and the other two are a mere sidewalk stroll away. The Living room and master bedroom have sliding doors opening onto a lakefront deck. 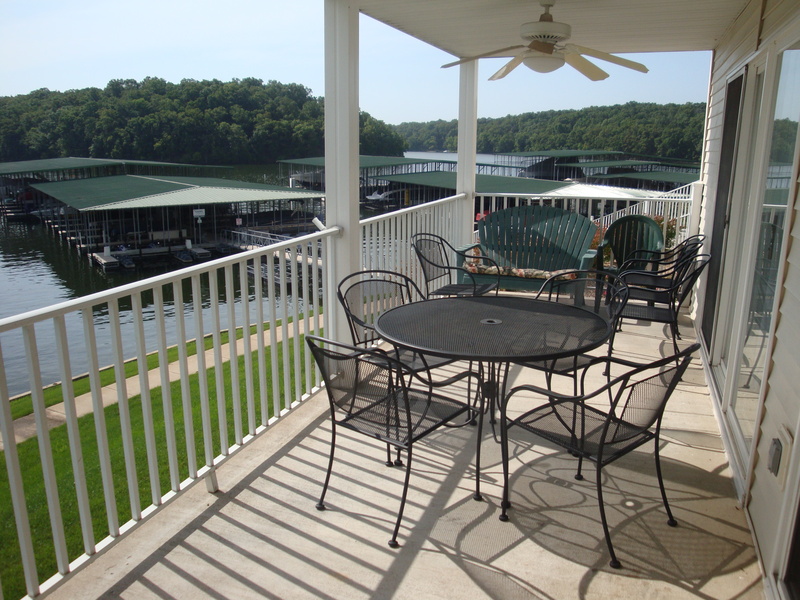 The deck includes a gas grill and furniture and is shaded most of the day which provides for a perfect morning coffee and sun rise or grilling dinner! 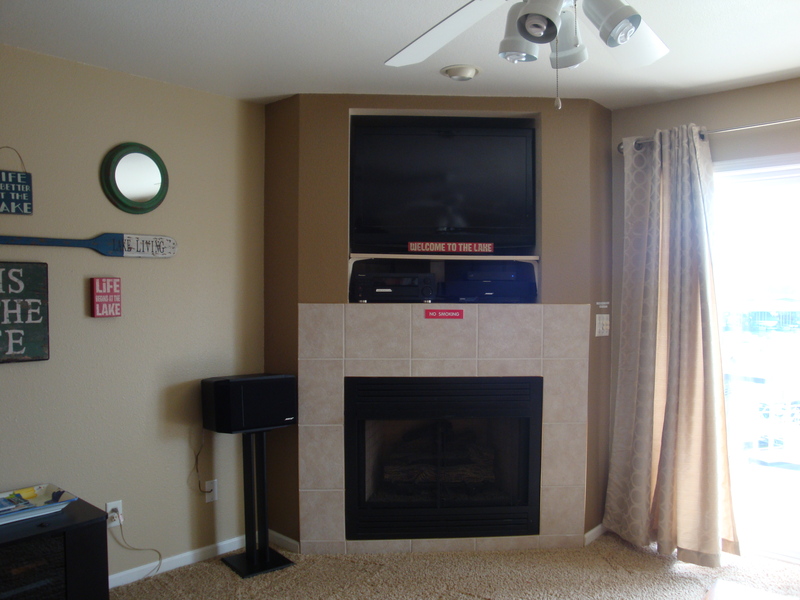 The living room has a larger screen TV, surround sound, DVD and a stereo with CD player, xbox, xbox live, 2 flat screen TV’s,and an Ipod/pad/bluetooth player! 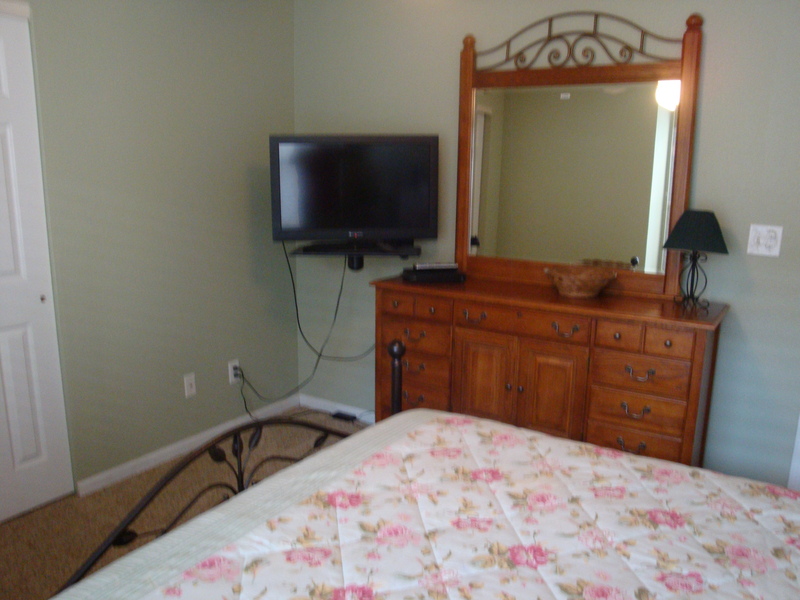 All bedrooms have a TV. 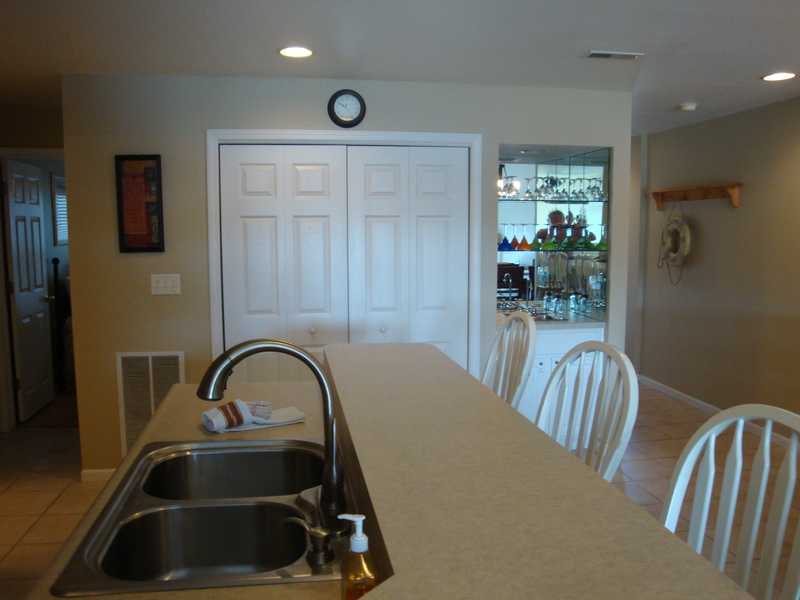 A full kitchen including seating for 6 and an additional 4 bar stools at the breakfast bar, refrigerator with ice maker, dishwasher, microwave and smooth top range make this kitchen convenient for the vacationer! 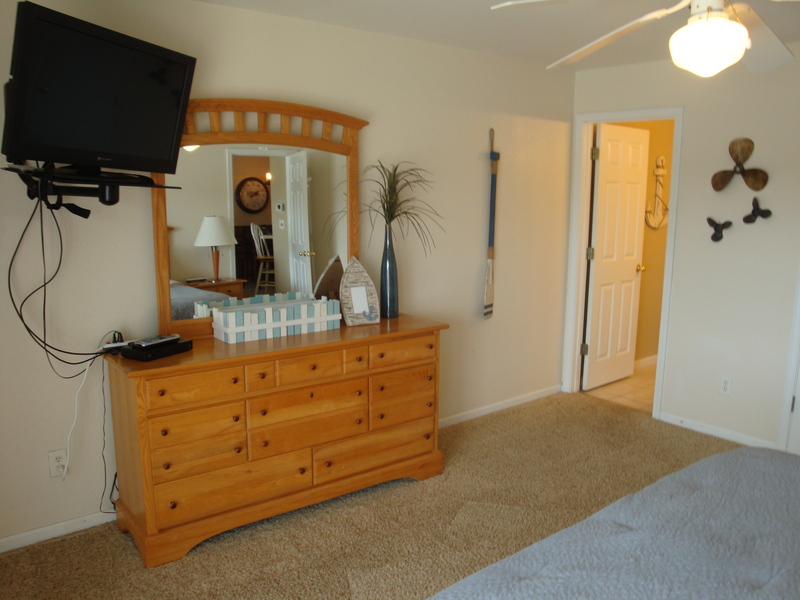 Bedrooms include a king in the master bedroom with adjoining master bathroom which includes a jetted tub. 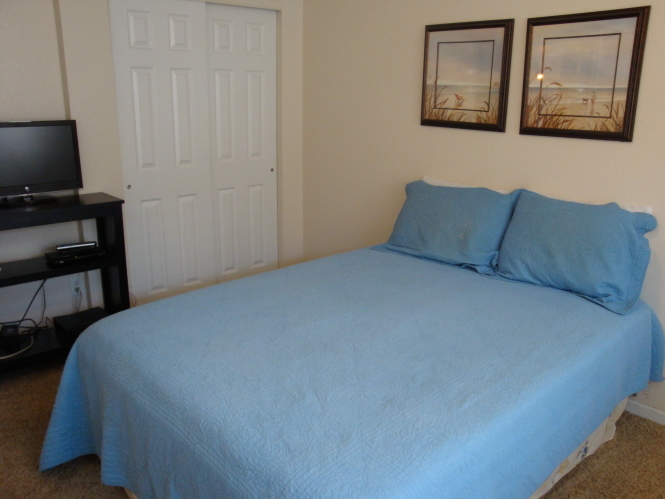 The second bedroom has a Queen bed and TV. 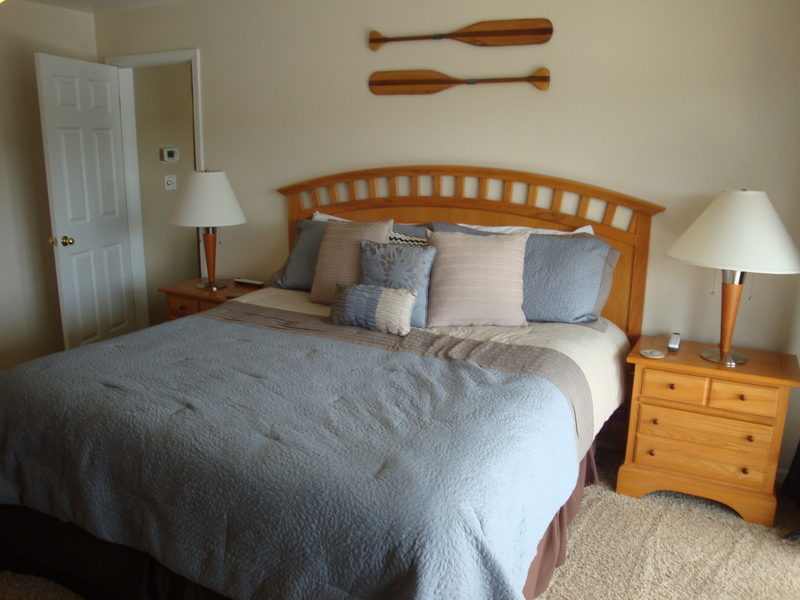 The third bedroom has a queen bed and a twin size day bed with a twin trundle pull out (That is a queen and two twins!). Occupancy max is 7! 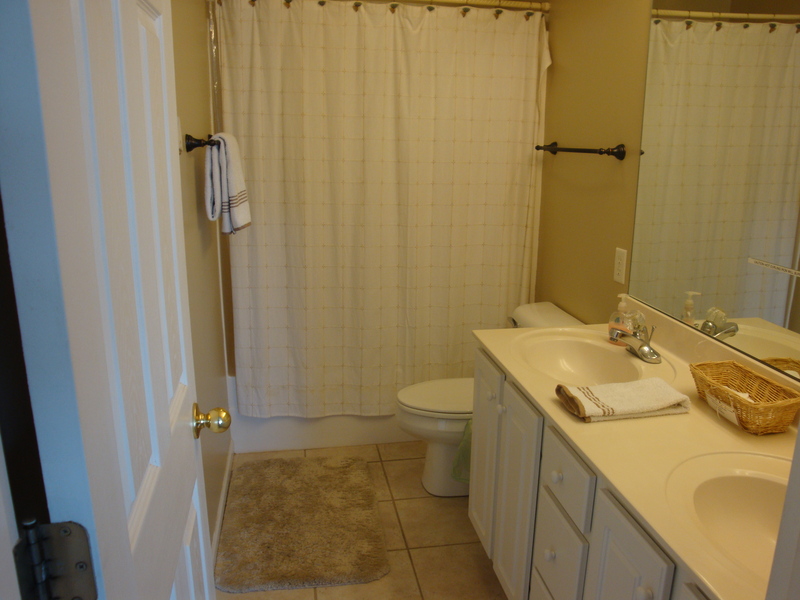 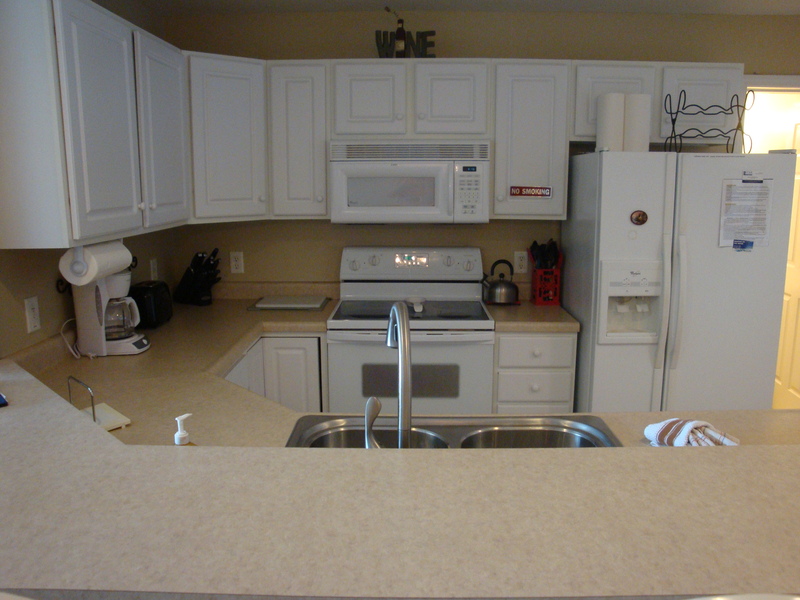 An extra large washer and dryer are included in the condo.A huge water heater makes multiple showers a breeze!. 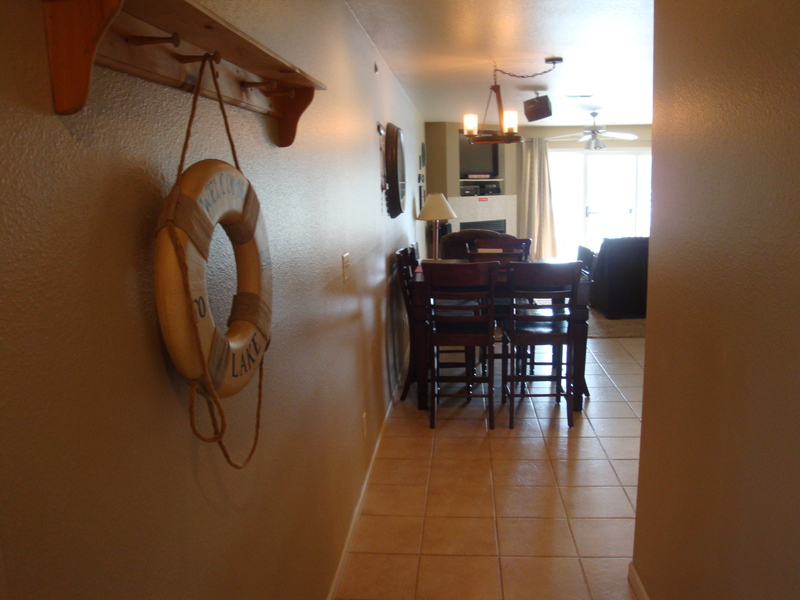 This condo has all the extras to make your vacation one to remember. 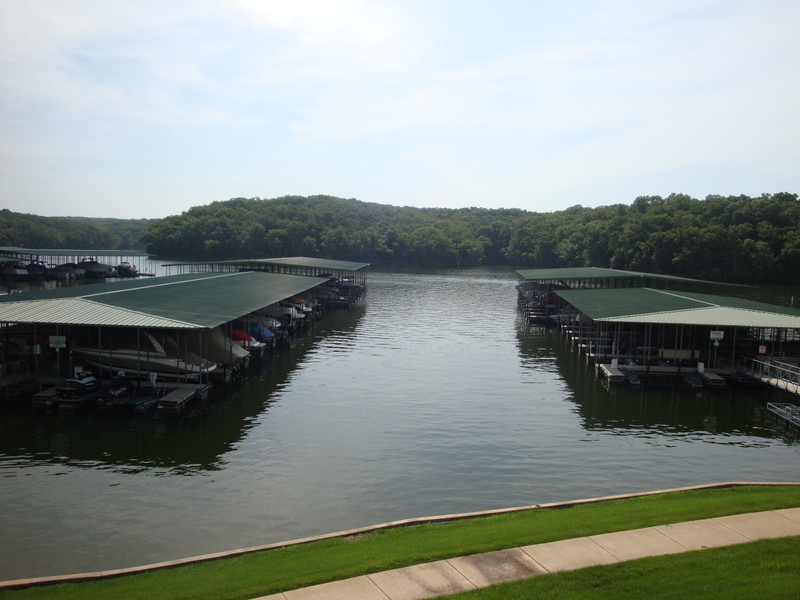 Boat slips are close and available to rent at $25 per night. 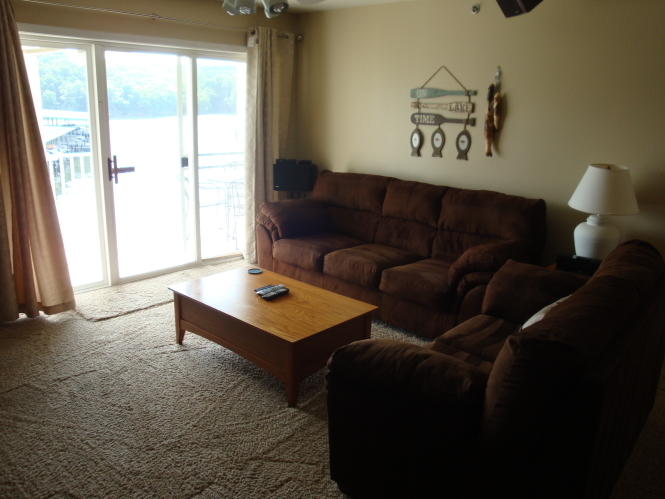 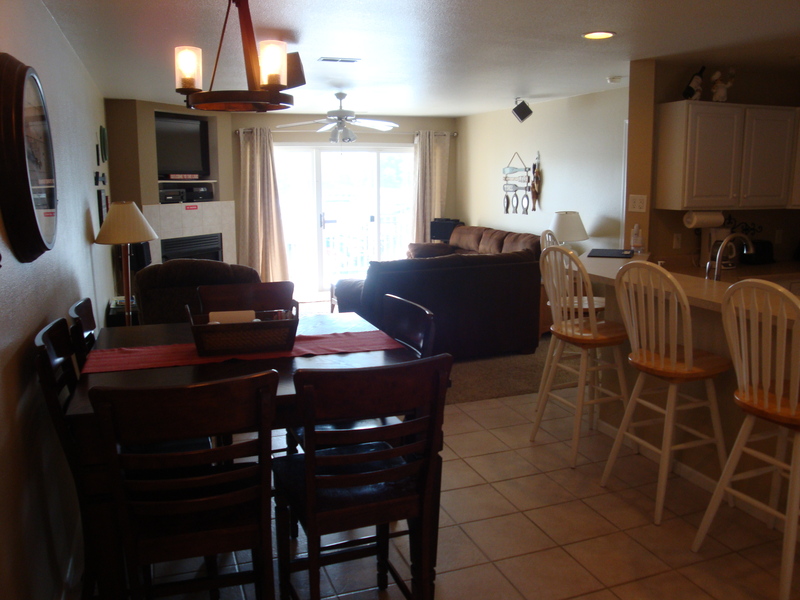 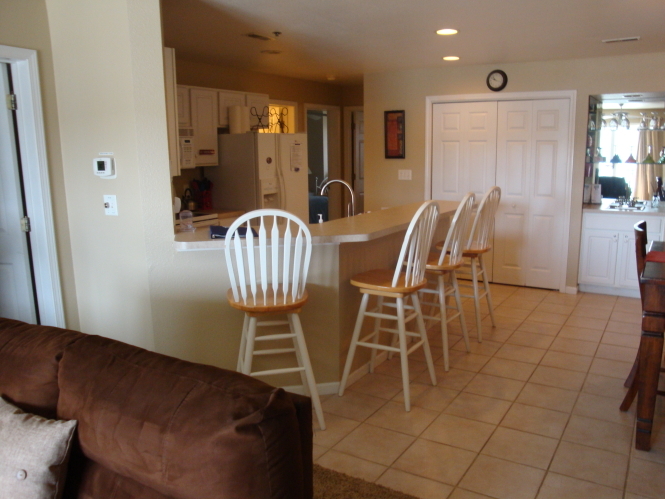 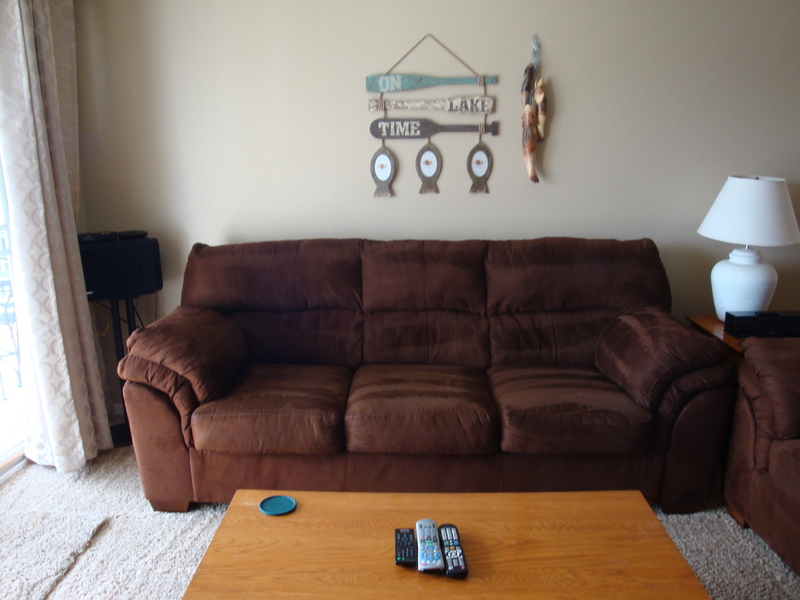 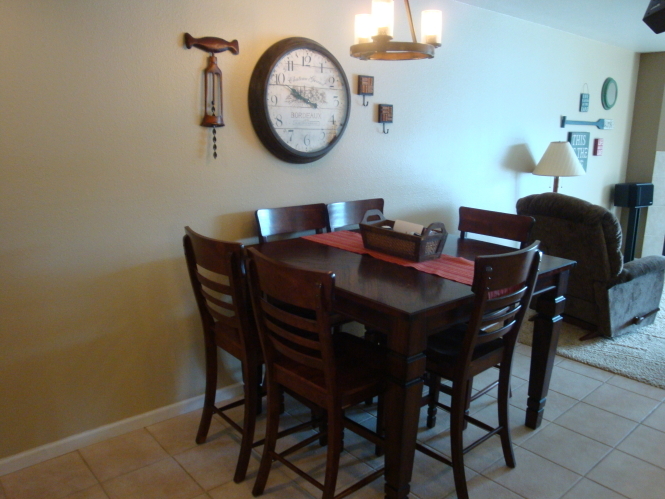 Newer furniture and carpet make this condo very inviting and comfortable for a fantastic vacation! 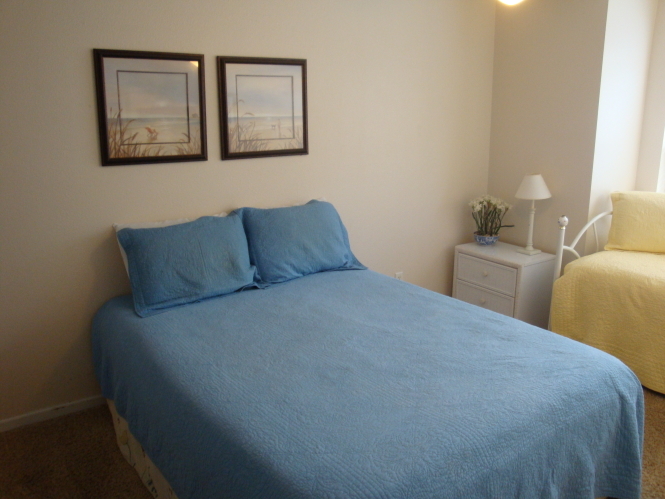 Owner says this condo is pet friendly with some restrictions. * Rates are subject to change without notice. 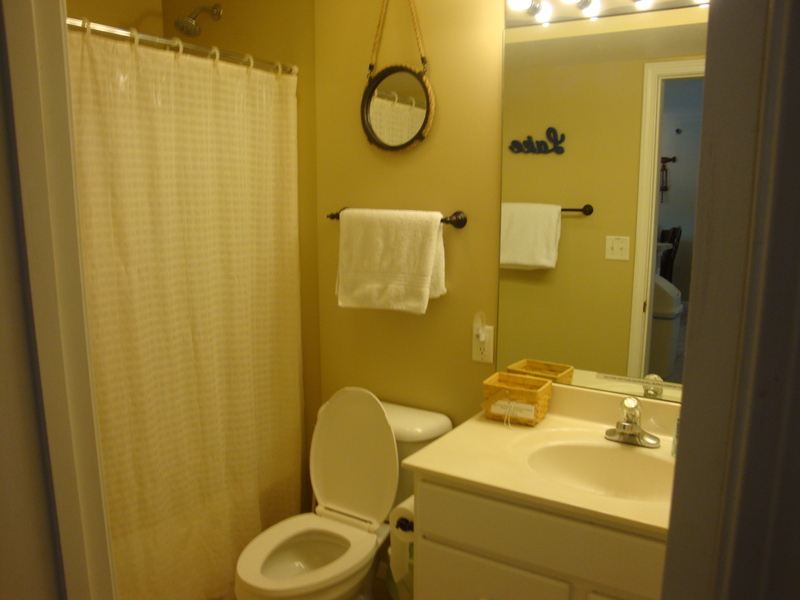 Pricing excludes taxes, cleaning, additional options and fees. Call us at 5732860887 for total on this rental and to book. 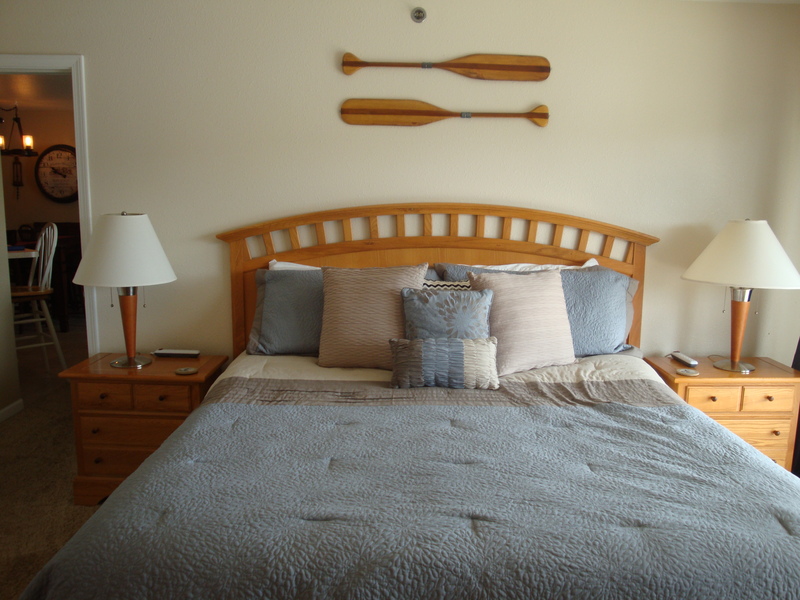 Book Now on VRBO and to see our calendar!